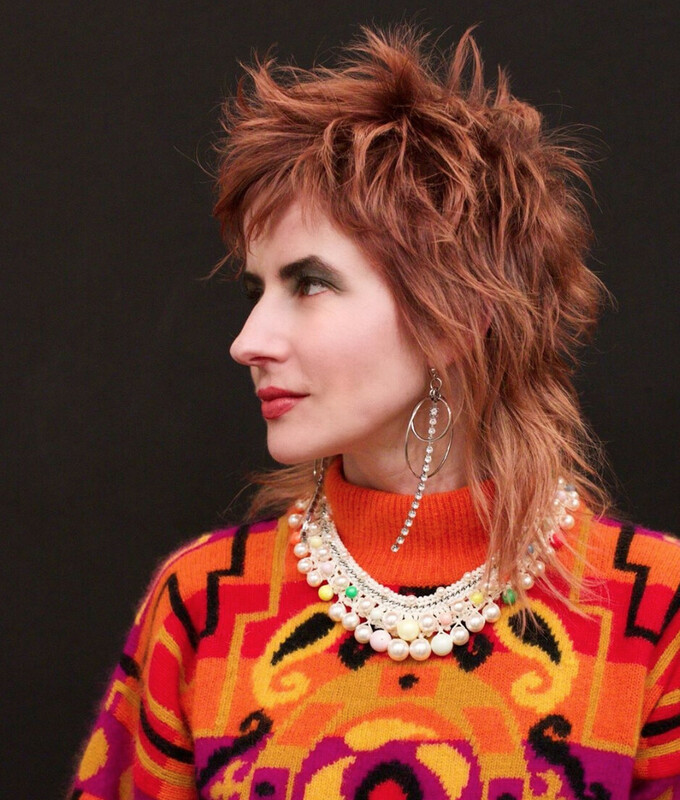 Anh collaborates with Ramirez Tran stylist Daniel Martinez on a retro 80’s New Wave inspired shag mullet on colorist Christine Silverman for this look. The style perfectly channels Silverman’s edgy vibe with an updated twist. To achieve this style, Anh first prepped the hair while wet with L’Oreal Professionnel 10-in-1 and Spiral Queen to ensure the waves will hold. With a diffuser attachment on the Dyson Supersonic dryer, diffuse the hair for natural, voluminous waves on a short style. Finish off with Mythic Oil for shine.